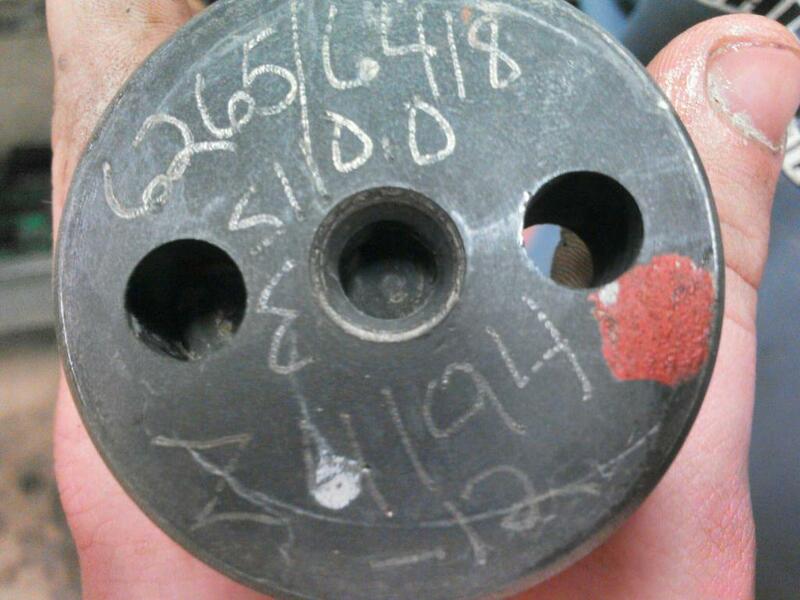 Looks like etchings from Comp Cams custom lobe numbers. If it is, it would be a solid lifter flat tappet camshaft; the number 12 indicates a small block Chevrolet core but, that etching seems to be from a different origin than the other etchings here. 264/274 @.050" - .378"/.375" lobe lift - 110 separation with no advance ground-in. Z 4194-12 is the ser. #. 12 is the year it was ground. Lem you think if one called up comp they could give the specs on it ? I thought you said it is your friend's cam! !